"Africana Womanism" is a term coined in the late 1980s by Clenora Hudson-Weems  intended as an ideology applicable to all women of African descent. It is grounded in African culture and Afrocentrism and focuses on the experiences, struggles, needs, and desires of Africana women of the African diaspora. It distinguishes itself from feminism, or Alice Walker's womanism. The Africana Womanism Society lists 18 characteristics of The Africana womanist, including self-naming, self-defining, family-centered, flexible and desiring positive male companionship. Clenora Hudson-Weems, Professor of English, University of Missouri, author of Africana Womanism: Reclaiming Ourselves, coined the concept Africana Womanism in the late 1980s (Africana is the feminine form of the Latin Africanus, meaning Of Africa, and appears to be preferred by the movement over African). Hudson-Weems argues that "Africana Womanism is not an addendum to feminism, Black feminism, African feminism or Alice Walker's womanism" According to Patricia Hill Collins, "Although some Africana women may support the very ideas on which feminism rests, however, many of them reject the term “feminism” because of what they perceive as its association with white women’s cause. They see feminism as operating exclusively within the terms white and American and perceive its opposite as being Black and American." Further many African men and women do not accept the ideology of feminism. According to Hudson-Weems, she states that "there is a general consensus in the Africana community that the feminist movement, by and large, is the White woman's movement for two reason. First, the Africana woman does not see the man as her primary enemy as does the White feminist, who is carrying out an age-old battle with her White male counterpart for subjugating her as his property. Africana men have never had the same institutionalized power to oppress Africana women as White men have had to oppress White women." Africana Womanism is a term I coined and defined in 1987 after nearly two years of publicly debating the importance of self-naming for Africana women. Why the term ‘Africana Womanism’? Upon concluding that the term ‘Black Womanism’ was not quite the terminology to include the total meaning desired for this concept, I decided that ‘Africana Womanism,’ a natural evolution in naming, was the ideal terminology for two basic reasons. The first part of the coinage, Africana, identifies the ethnicity of the woman being considered, and this reference to her ethnicity, establishing her cultural identity, relates directly to her ancestry and land base—Africa. The second part of the term Womanism, recalls Sojourner Truth's powerful impromptu speech ‘Ain't I a Woman?’, one in which she battles with the dominant alienating forces in her life as a struggling Africana Woman, questioning the accepted idea of womanhood. Without question she is the flip side of the coin, the co-partner in the struggle for her people, one who, unlike the white woman, has received no special privileges in American society. There are 18 key components that form Africana Womanism. 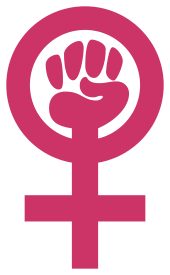 The characteristics are the following: Self-Naming, Self-Definition, Family-Centeredness, Role Flexibility, Adaptability, Authenticity, Black Female Sisterhood, Struggling with males against oppression, Male Compatibility, Recognition, Ambition, Nurturing, Strengthen, Respect, Respect for Elders, Mothering, Spirituality. Self-naming and self-definition are the first two couples characteristics of Africana womanism. The term “nommo” is given to the idea of self-naming, which is important because in order for one to exist it has to be given a correct name. There is an increasing need for self-naming, self-defining, and self-identity for Black people and self-defining helps to discover one’s identity through their own point of view of their world that goes against that of the dominant culture. The second groupings of characteristics are family-centeredness, wholeness, authenticity, role flexibility, adaptability, struggling with Black men against oppression, and Black female sisterhood. The first five components all emphasis the commitment to family that is of major importance to Black women. There is a high interest in success of the group and collective outcomes that maintains a sense of wholeness. Nikol Alexander-Floyd (2006) states that there is this balance of putting the family first, which would be wholeness, without neglecting the career of the women or as he states it here authenticity. Role flexibility and adaptability are also important parts of family-centeredness because of their roots in the history of Black women. In history, Black women have experienced flexible gender roles meaning that Black women not only had experience working outside of home along with men but all within the home. For adaptability, Black women not only adapted to different work environments but also to the lack of luxuries that were experienced by white women and feminists. Lastly, for struggling with Black men against oppression and Black female sisterhood, Africana womanist see that there is a fight against oppression that is being fought by Black men and see themselves fighting on the same team as Black men. Sisterhood in Africana womanism has to be genuine and is genuine through the fact that Black women go through the same experience of oppression and can therefore empathize with one another. The third and last clustering of characteristics are strength, male compatibility, respect, recognition, respect for elders, ambition, mothering, nurturing, and spirituality. Historically, Black women were always had psychological and physical strengthen especially with what happened with slavery. Hudson-Weens says that Black men’s and Black women’s bond helps to maintain the race . Respect and recognition go together that is necessary for a healthy respect for Africana womanists and it helps them relate to others. Respect and recognition also contributes to the self-love and admiration, and respect for elders or older members in the Black community. Africana womanist are also very spiritual and believe in a higher power and their mothering and nurturing is tradition. Hudson-Weems (2000) states that the rejection of white organizations is something that Africana women take part in. Africana women focus on things that help with the elimination of oppression, which is considered to be the most important thing in order for the Africana community to survive. Along side the rejection of white organizations, Africana womanism puts priority on human dignity of Africana women, children, and men. It focuses on race as the main importance for Africana women. Racism is seen to be priority over sexism and sexism is seen to derive from racism, classism, and economic prejudices. Some problems of Africana women, according to Hudson-Weems, include “physical brutality, sexual harassment, and female subjugation in general perpetrated both within and outside the race” and has to be solves in Africana communities collectively. While many think of Africana Womanism as being similar to that of Black feminism, African feminism, womanism, and white feminism, there are clear distinctions in agenda for the forms of women empowerment. Drawing on the tenets of Africana Womanism, Clenora Hudson-Weems extends the theoretical framework to literary analysis. Such an anlysis of Africana literature emphasizes the family, complimentarity between men and women, and commitment to the survival and liberation of the community as a whole. In her text, Africana Womanist Literary Theory, Hudson-Weems explores select Africana novels in order to offer Africana womanist interpretations. Five Africana Womanist novels: Zora Neale Hurston, Their Eyes Were Watching God. Hudson-Weems states that the character Janie is a protagonists to name and define herself. Also, a protagonist of family-centeredness (pp. 81–82); Mariama Ba, a renowned Senegalese writer, So Long a Letter, Ba's attack on polygamous society that subjugates women, and her interests in the rights of Africana women are reflected in her novel. According to Hudson-Weems "the novel does not justify categorizing it as a feminist novel, which the author dedicates the book 'To all women and men of good will,' thereby demonstrating her natural inclination to include men as a very important part of women's lives" (Hudson-Weems, pp. 93–94); Paule Marshall, a prominent African-Caribbean writer, Praisesong for the Widow, which the character "Reena" bears the historical nuances of so-called shortcomings of the Africana woman in relationship with her male companion. Pauline, the narrator, advocates a solution to the deteriorating relationship between the Africana man and woman (Hudson-Weems, p. 105); Toni Morrison, Beloved. Hudson-Weems asserts that "From Morrison first novel, The Bluest Eye, to Sula, Song of Solomon, Tar Baby, and finally to her fifth novel, Beloved, the author develops the roles of the male and the female in this collective struggle" (p. 119); and Terry McMillan, Disappearing Acts. Hudson-Weems explains that the character Zora Banks is self-naming and self-defining, family-centered and compatible, flexible with her roles and ambitions, demanding of respect and strong, reverent of elders and authentic, and last but not least, nurturing and mothering (pp. 133–134). Africana Womanist literature also consists of Africana family dynamics, Africana women and men—their interrelationship, and experiences within their communities, and religion. For instance: Russell J. Rickford (2003) Betty Shabazz: Surviving Malcolm X: A Journey of Strength from Wife to Widow to Heroine; Ilyasah Shabazz (2002), Growing Up X: A Memoir by the Daughter of Malcolm X; Sonsyrea Tate (1997) Growing Up in the Nation of Islam; Yvonne S. Thornton, M.D. (1995), The Ditchdigger's Daughters: A Black Family's Astonishing Success Story; Alex Haley (1976) Roots: The Saga of an American Family; Coretta Scott King (1969), My Life with Martin Luther King, Jr. In addition to Regina Jennings (2001), Africana Womanism in The Black Panther Party: A Personal Story, published in the Western Journal of Black Studies. Jennings describes her experiences as a young woman who joined the Black Panther Party in Oakland, California, using the theory of Africana Womanism. ↑ Hudson-Weems, pp. 57-58, 61, 66, 68–72. ↑ Hudson-Weems, Clenora (1998). Africana Womanism: Reclaiming Ourselves. Bedford Publishing. p. 24. ISBN 0-911557-14-8. ↑ Collins, Patricia Hill (Winter–Summer 1996). "What's in a Name? Womanism, Black Feminism, and Beyond". The Black Scholar. 26 (1). ↑ Nah Dove, "African Womanism: An Afrocentric Theory", Journal of Black Studies, Vol. 28, No. 5 (May 1998), pp. 515–539. 1 2 3 4 5 6 7 Alexander-Floyd, Nikol G.; Simien, Evelyn M. (2006). "Revisiting "What's in a Name? ": Exploring the Contours of Africana Womanist Thought". A Journal of Women Studies. 27: 67–89 – via Project Muse. 1 2 3 Hudson-Weems, Clenora (2000). "African Womanism: An Overview". In Aldridge, Delores P. Out of the Revolution: The Development of Africana Studies. Lexington Books. pp. 205–217. ↑ Nitri, Daphne W. (2001). "Reassessing Africana womanism: Continuity and change". Western Journal of Black Studies. 25: 163–167 – via ProQuest. ↑ Brenda Verner (1994, June), "The Power and Glory of Africana Womanism", Chicago Tribune Newspaper, p. 8. Accessed December 2008, ProQuest. ↑ Tolagbe Ogunlege (1998), "Dr. Martin Robison Delany, 19th-Century Africana Womanists: Reflections on His Avant-Garde Politics Concerning Gender, Colorism, and Nation Building", p. 630, in the Journal of the Black Studies, 28(5) pp. 628–649, and Diop, 1978, p. 35. Collins, P. H. (1996, Winter/Summer). What’s in a Name? Womanism, Black Feminism, and Beyond. The Black Scholar, 26(1),9. Dove, N. (1998) "Africana Womanism: An Afrocentric Theory". Journal of Black Studies, 28(5),535. Hudson-Weems, C. (1998). Africana Womanism: Reclaiming Ourselves. Troy, MI: Bedford Publishing, ISBN 0-911557-14-8. Ntiri, D. W. (2001). "Reassessing Africana Womanism: Continuity and Change". The Western Journal of Black Studies, 25(3). "Theorizing difference within black feminist thought: The dilemma of sexism in black communities", Austin, Algernon. Race, Gender & Class New Orleans: July 31, 1999. Vol. 6, Iss. 3; p. 52.